Isn't it crazy how fast Thanksgiving flew by? Steve, Emma, and I had such a good time spending a few days at my parents' house for Thanksgiving. It was so relaxing and fun to spend time with family, I definitely didn't want the fun to end. But now we've got Christmas to look forward to! And this year we'll be hosting Christmas dinner so you know I'll be decking the house out to the nines with decorations. We've got a few decorations up, but have yet to get a Christmas tree. I was hoping to get one this evening, but with the rainy weather we're having, I think it'll be more prudent to wait until tomorrow when the sun will be out. 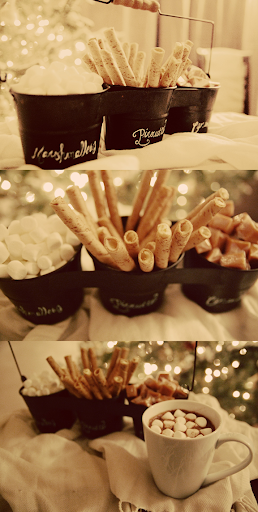 Until tomorrow, I'll just have to satisfy my Christmas cravings with these images below. Love how these gifts are wrapped in such an artistic and charming way. 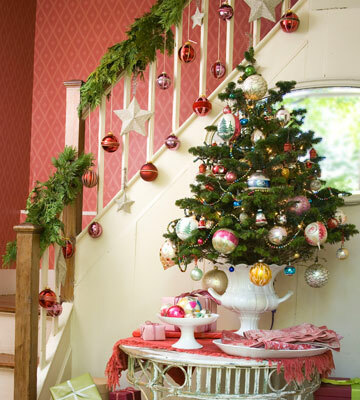 This is a great way to showcase your holiday cards and decorate your house. Such a clever idea to stamp the initials of the gift's recipient. 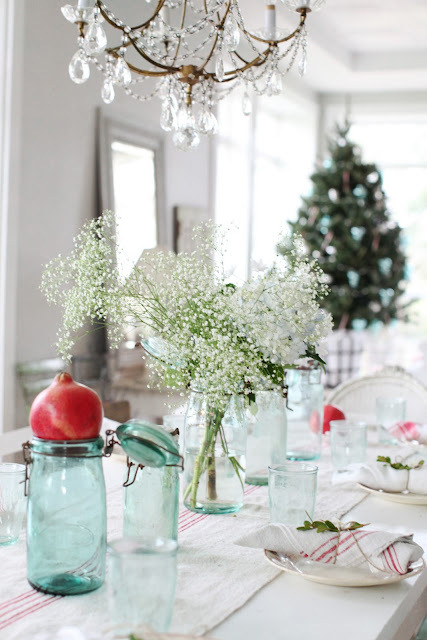 I really love seeing the color combo green, white, and black during the holidays. 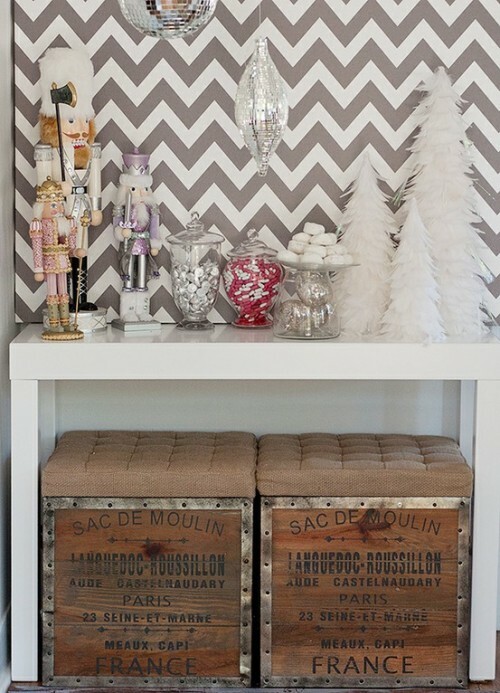 A hot chocolate station is perfect for holiday gatherings. Cường độ của huyết khí. Lực bài xích của bản thân Võ Đạo Tâm Cung.